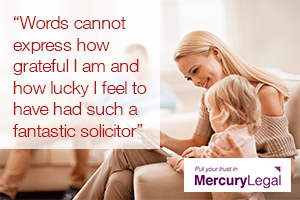 Serious concerns have been raised over the safety of all metal hip implants and, as ever, Mercury Legal Online are here to help you get the compensation you deserve. In August 2010 the parent company of DePuy Orthopaedics, Johnson and Johnson, recalled their ASR hip implant after obtaining data indicating that the failure rates were unreasonably high resulting in a number of patients having to undergo repeat surgery to rectify the problem. The MHRA were keen to emphasise that the majority of patients with metal on metal implants are thought to be at low risk of developing any serious problems. A small number of patients with metal on metal hip implants may be at danger of developing a form of blood poisoning in the most serious of cases. Anyone who is concerned should visit their doctor so that further tests can be carried out. If you do have a metal on metal hip implant and you are concerned, even if none of the above symptoms apply to you at the present time, contact Mercury Legal Online to see if we can help. From the 1st April 2013 when you contact us you will not be asked to pay any money whatsoever up front and even if your claim is unsuccessful through no fault of your own you will never be asked to pay anything to anyone.